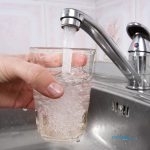 Never Be Afraid to Drink out of Your Sink Again with Filtered Water. We use water every single day, from taking a shower, doing the dishes, or getting a drink from the faucet, we trust that that water is clean enough to be doing all these things with. But what if you didn’t have to just trust that the water was good enough, what if you already knew? With a whole house water filtration system, you will always know. Health- You never know what is in your water from the city. They can tell you its high in this or that, but how do you truly know. Don’t take the chance on the water you put into your body. By having this system you will know that every bit of water you or your family uses will be free of chemicals or toxins. This will be better for your overall health and the health of your skin and hair as well. Chemicals- Chemicals are eliminated the second they enter your homes plumbing system, making it so that they are longer filtered into the air. They also will no longer able to stay on your clothing. With filtered water, the chemicals disappear and you can live a healthier lifestyle. Water bottles- How much do you spend on water bottles every month trying to drink clean water? Or has a friend ever came over and you didn’t have any water bottles to give, but they don’t drink tap water? This will never happen again because the water from your sink will be just as good as the water from the bottle at the store. No need to spend your hard earned money on clean water again because it will be filtering all throughout your home. With so many added benefits, it’s hard to see why everyone wouldn’t want to have a filtration system in their home. If you decide that this is for you, just give Ozone Pure Water a call at 800-633-8469 and we would be happy to get one installed for you. Posted in Uncategorized on January 10, 2018 at 9:51 pm by Ozone Pure Water.